As stunted as I am in the decorating department, I still really enjoy having my home feel cozy and festive for whatever time of year it happens to be. Fresh flowers in the spring, fun throw pillows, wreaths….I love it all. You can certainly peruse Pinterest and find endless ideas for DIY projects to beautify your home. 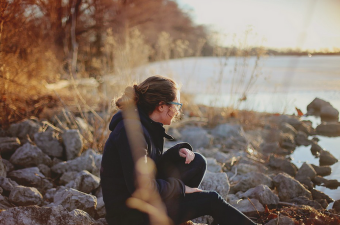 The problem for me is not just lack of ability, but time. 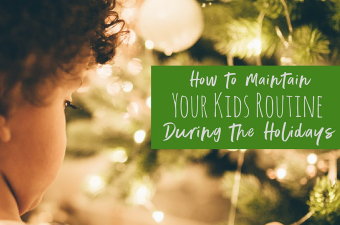 Over the years I’ve watched my mom transform their home every turn of the season, and there are some really simple things you can do to change the mood of your home quickly and inexpensively. Now that it’s September, I’m more than ready to get into the fall spirit! 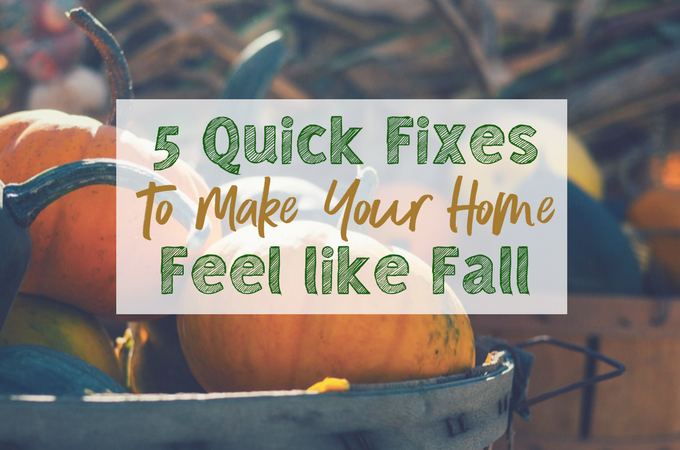 Here are 5 quick fixes that you can do TODAY to make your home feel like fall! 1. Make your home smell like the season. 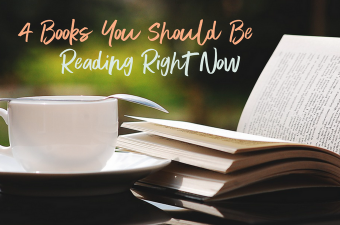 This might be the most important one! Your sense of smell is so powerful! The way your home smells is often the first thing a person notices when walking in the front door. My absolute favorite way to make the house smell amazing (without any chemicals!) is to make my moms recipe for stove-top potpourri. Super easy, and it’s a great scent to use through the entire holiday season. 2. Get some new dish dowels/hand towels. I really love making our home feel cozy in the fall, and lighting has a lot to do with this. Of course, this becomes easier as it gets darker in the evening, but using lamps instead of your overhead lights will make your home feel cozy and warm and more like fall is around the corner! Maybe even try lighting some candles! They make nice ones that don’t require an actual flame, which is perfect for homes like ours with little kids. 4. Change out the pillows and/or blankets in the living room. Having a cozy blanket on the back of the couch makes me think of fall, so it’s time to pull them out of hiding! I also like to switch out the throw pillows on our couch. We keep extras in the spare bedroom closet, and switch out for different colors throughout the year. You can get them pretty cheap, or even make simple covers for the ones you have. It can totally change the look of your living space. 5. Make something in the crock pot. I think appealing to all of your senses is pretty effective here. Not only does your house smell like fall from your stove-top potpourri, but something in the slow cooker will make it even more so. Make something like a pot roast or sausage and potato soup and you’ll immediately want to put on slippers and a sweater. Bonus: turn football on the TV. I’m not a football fan, but my husband always has it on in the background during football season. I’m pretty good at tuning it out, but for better or worse, it really does make me think it’s fall!